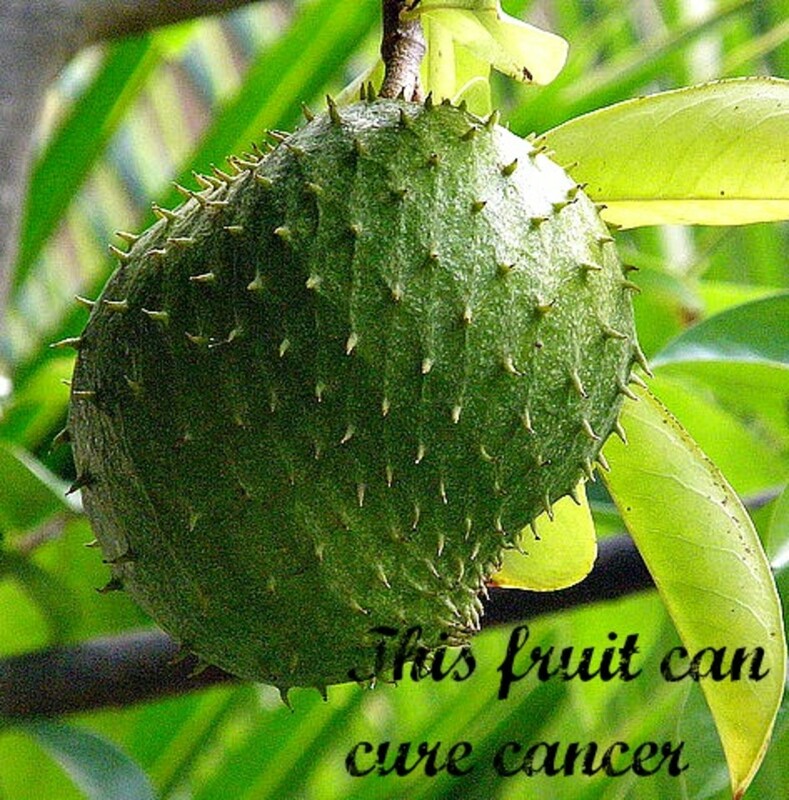 It is not a secret anymore that the guanabana is a proven cure for cancer of all types, and that it is 10,000 times more effective than a commonly used chemotherapy drug, adriamycin. Many people have recited the same facts and studies in articles in the internet. My goal is to recap what everyone else has said and go a step further. 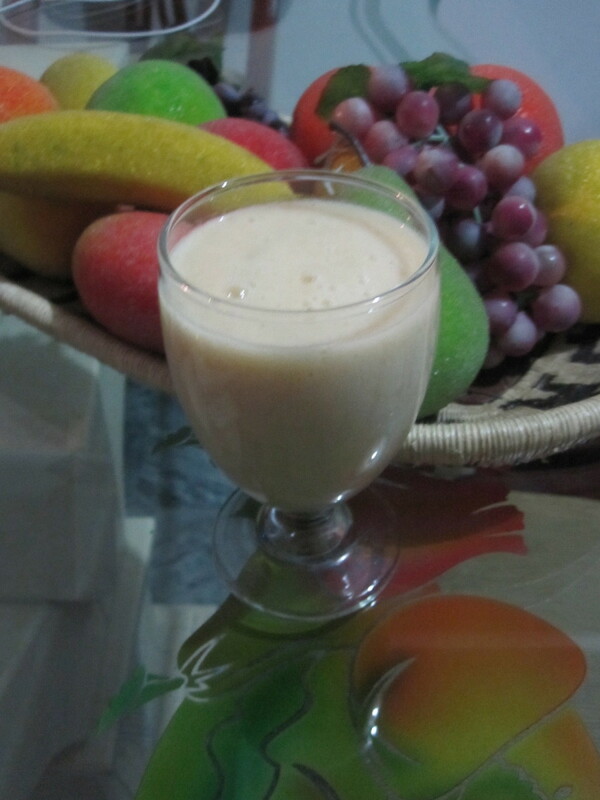 I will provide you with recipes for juices, shakes, and smoothies made from the guanabana fruit. It is easy to learn the story about this miracle fruit on the internet, but try to find the fresh fruit in the United States. I will try to help you with that, plus give you a no nonsense pure juice recipe that my wife and I use here in Colombia. The difference between preparing the ganabana recipes in Colombia as opposed to the United States is that here I can walk to my corner market and purchase the fresh fruit. 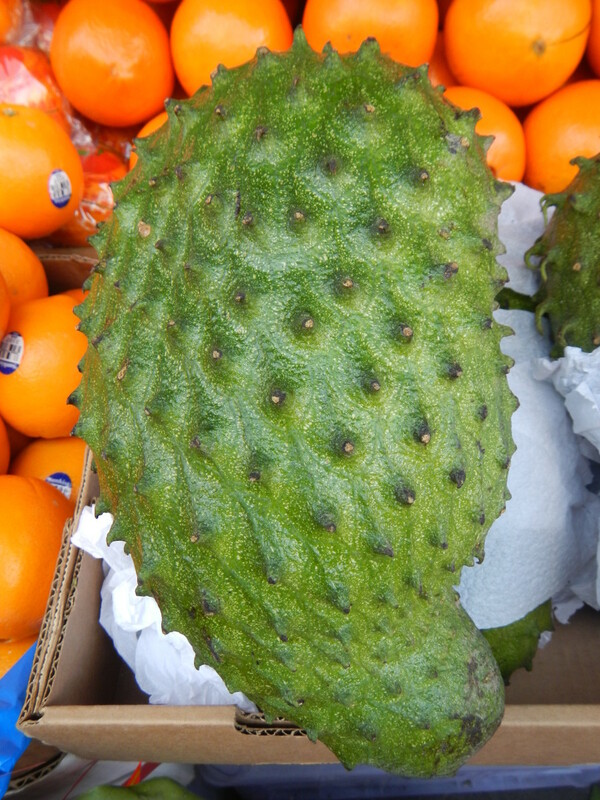 Guanabana is the Spanish word for the fruit, Soursop is the English version, and Graviola is the Brazilian word for this amazing fruit. The fruit grows in the tropical regions of South America. Since 42% of Colombia is in the Amazon Rain Forest, Colombia is awash in Guanabanas. The tree itself grows very rapidly. In two years it starts to bear fruit. 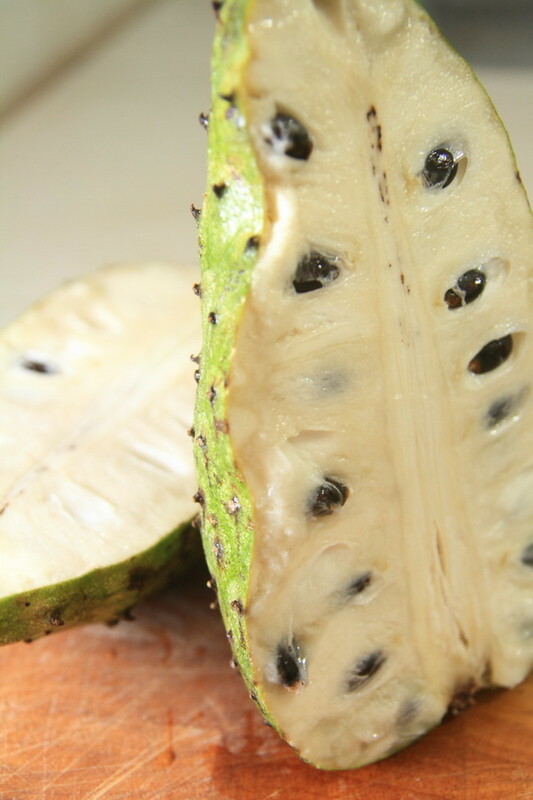 Below is a picture of the fruit, showing the fruit before it has been cut open. The next picture is of the fruit cut open being prepared to consume or be made into juice. The fruit has been studied for a long time. The tale about the research and the cover up of the research makes an interesting story that exposes the greed of the big Pharmaceutical Companies and at the same time confirms the facts about this amazing cure. I am not like other authors writing articles in order to sell products of some kind of extract of the Guanabana or recommending someones product or miracle cure. I am trying to bring you as many facts, studies and testimonials to inform you of this miraculous fruit so that you can do what you want with the information. The fruit of the graviola tree, guanabana, has long been used as a cure by the native indians of the Amazon to treat internal parasites, lower high blood pressure, and treat depression. Many parts of the graviola tree are useful to treat a variety of illnesses. For centuries the native indians of the Amazon have used the bark and the leaves to treat heart disease, asthma, liver problems and arthritis. One day many years ago, a large pharmaceutical company went to the Amazon to do research to investigate the properties of this fruit. They spent millions of dollars and 7 years trying to synthesize the properties of the guanabana, but they failed. They arrived at the realization that they could not make money or protect their investment because the natural product according to federal law was something that could not be patented. That ended the research abruptly. If it wasn't for a responsible individual on the investigating team we would not know much about the healing powers of the guanabana. Laboratory tests and investigations have been going on since 1970, to try to understand and possibly harness the active chemicals that are responsible for the healing properties of the guanabana. There have been at least 20 independent investigations conducted since 1976. The Health Service Institute heard about the guanabana and they started to investigate the fruit. The National Cancer Institute did their first research in 1976. All of these studies had proof that the chemical compounds in the guanabana were proven to kill cancer cells. Purdue University did their research and concurred that the chemical compounds in the guanabana were especially effective in the treatment of prostate, pancreatic, and lung cancers. 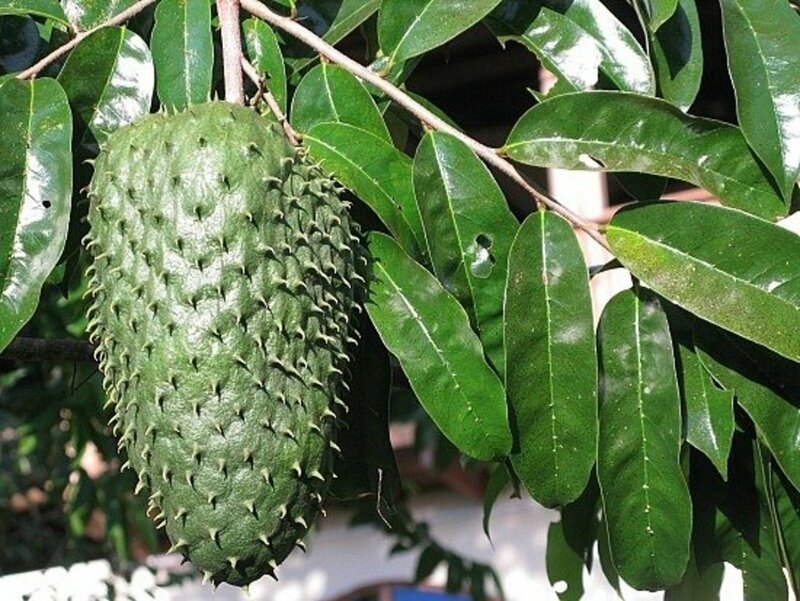 The Catholic University of Korea did laboratory research on the guanabana and concluded that the guanabana fruit was 10,000 times more effective in eliminating certain cancer cells than a widely used chemotherapy drug, Adriamycin. The special organic compounds, annonaceous acetogenins, were definitely proven to be effective in killing a variety of types of cancers. You need to take the time to view the two videos that follow. They are both informing videos, and a must see. 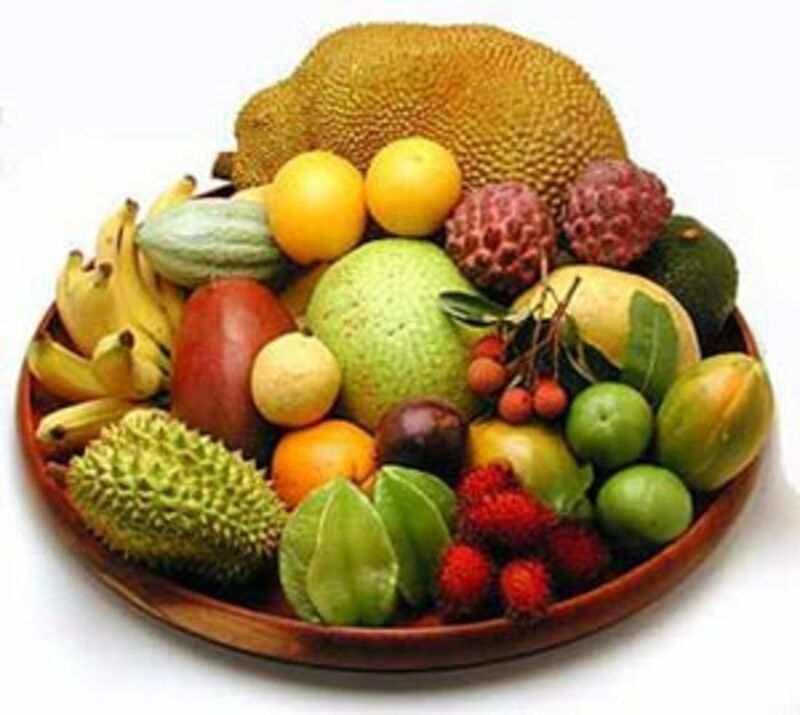 There are many recipes that use the guanabana fruit to make a tasty drink or dessert. I am including three that are popular plus my own. My recipe is the one my wife and I use. It is the purest and most natural. 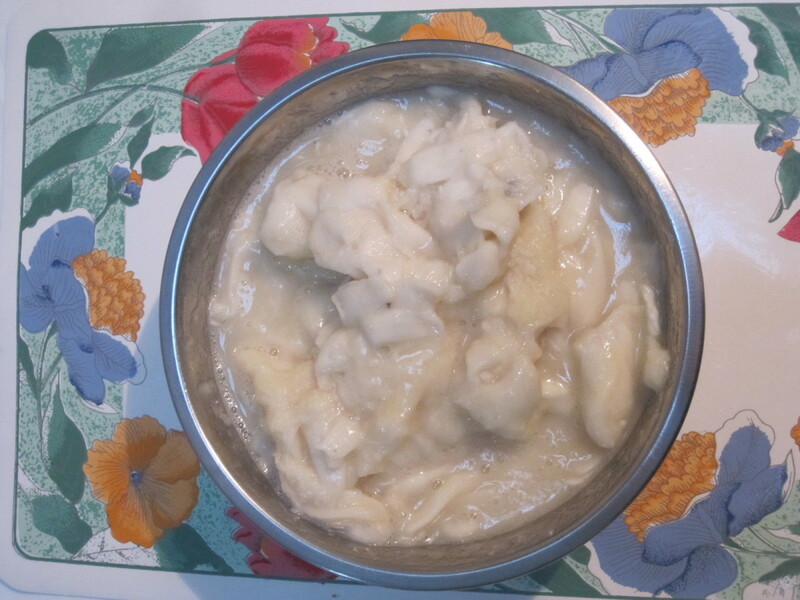 It is easy to prepare and it is very delicious. I will present mine first. 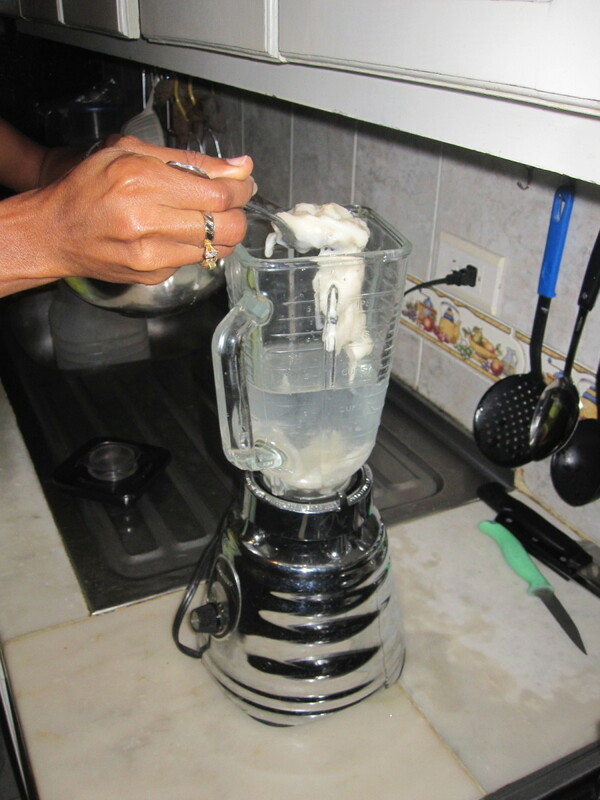 Guanabana Health Drink (mine) I am including pictures and giving the actual weight of the pulp used. My wife and I live in a traditional Colombian neighborhood in Cali, Colombia. There are many small fruit markets within 8 blocks of our house. We had to go to two of these markets to find guanabanas today. We purchased two guanabanas (4 lbs in total) for a little less than four dollars. 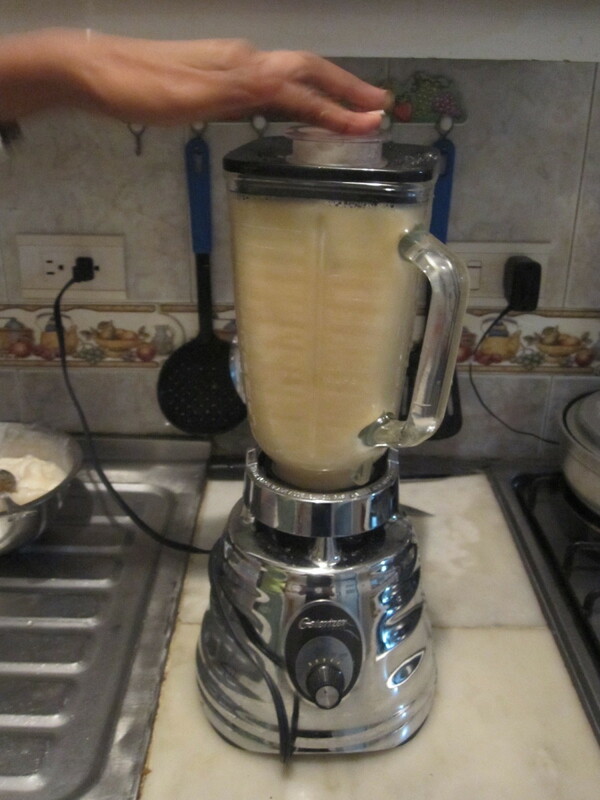 You can follow the pictures for the preparation and the making of the guanabana drink. 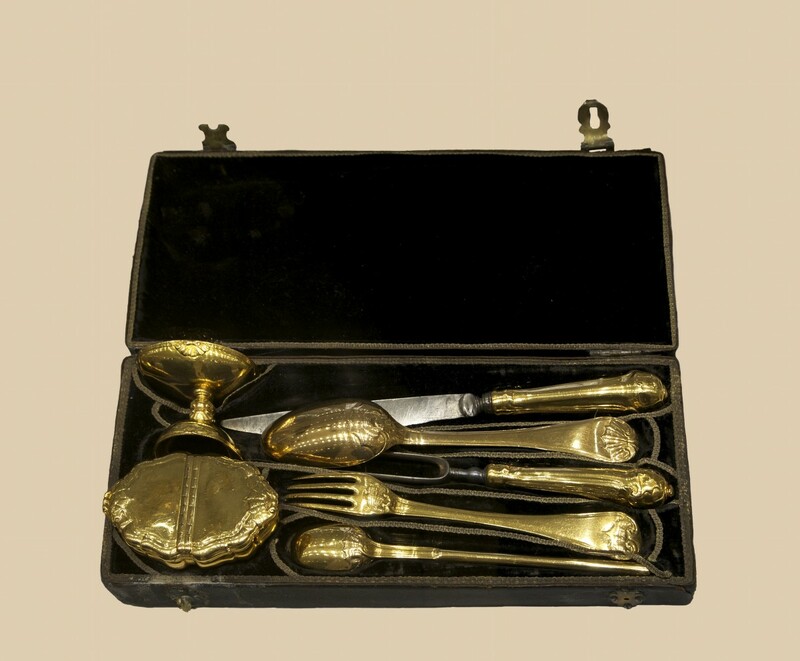 First you halve the fruit and then you proceed to extract the black colored seeds by hand. It is a messy job. When you finish extracting all of the seeds you will be left with a bowl full of pulp. 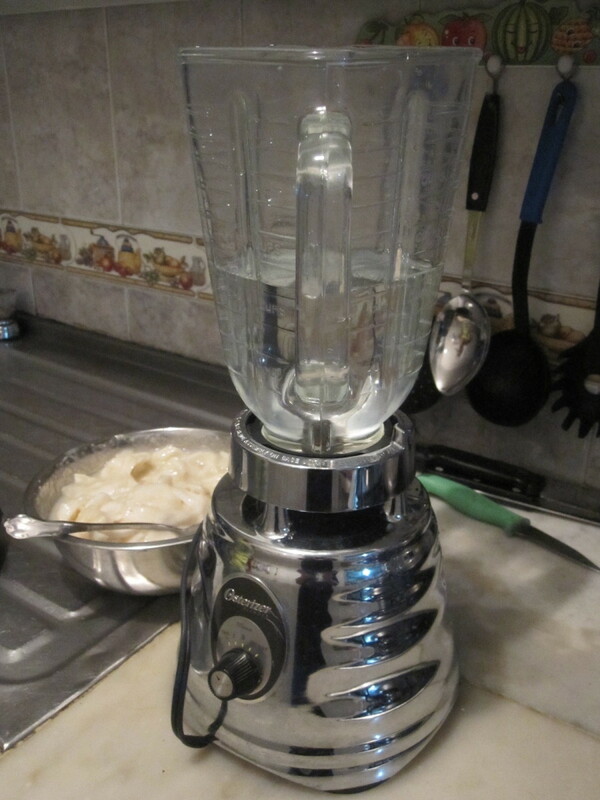 Pour the water into the blender. 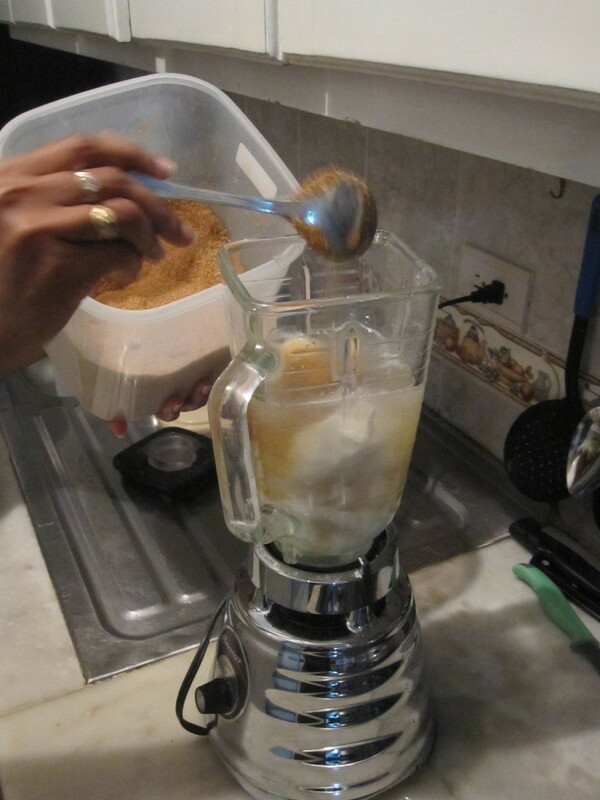 Now add the guanbana pulp to the water in the blender. 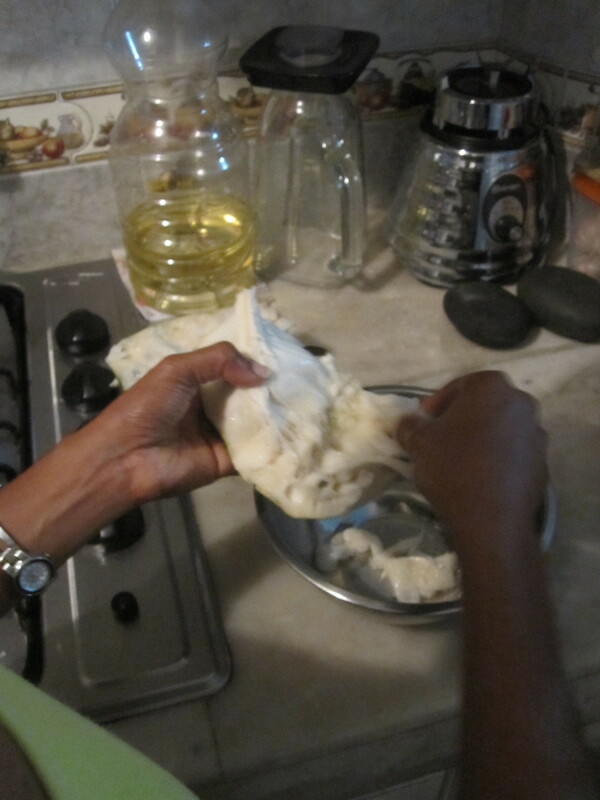 After adding the pulp of the guanabana, add in the sugar. In this case we are using un-refined sugar, called azucar morena here in Colombia. We only use this type of sugar because it is a healthier form of sugar. It will alter the taste a bit because the sugar itself has a mild taste. You can use whatever sugar that you choose. Now the mixture is ready to blend. Blend thoroughly until smooth. 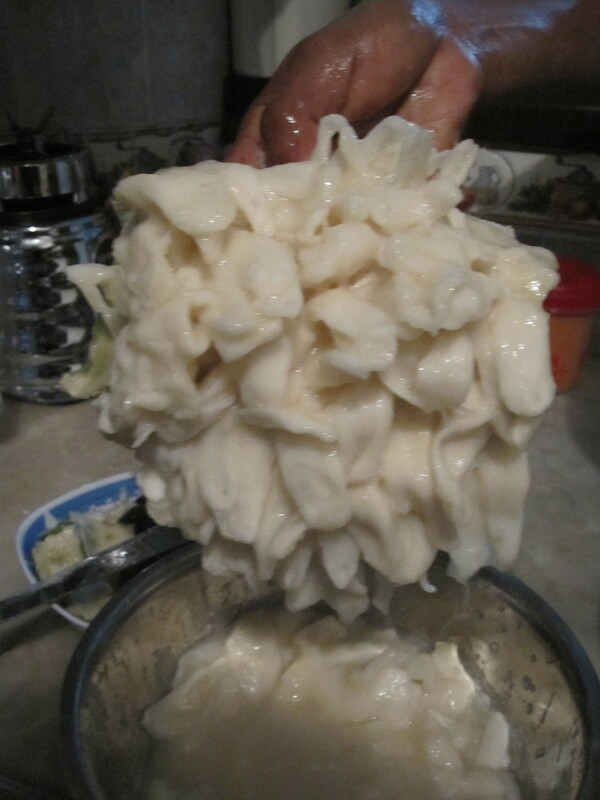 That will take approximately 2 minutes on the puree setting. That is all there is to it. Drink it and live a healthy life. 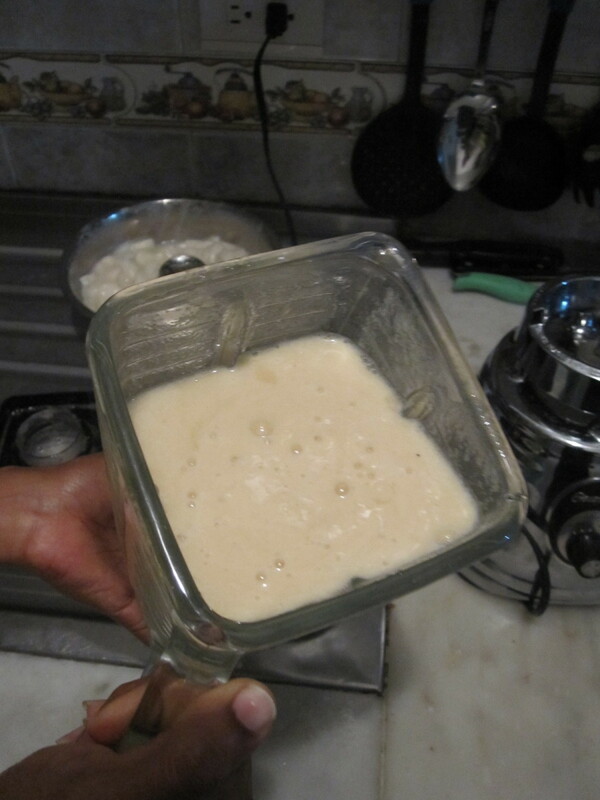 Put in a blender and blend till smooth. That will be approximately 2 minutes. I am going to direct you to a couple of sources where you can purchase fresh guanabanas in the United States. They are very rare and difficult to find. As an alternative you can probably find frozen guanabana much easier. Trying to purchase fresh guanabana in the United States might prove to be a bit allusive, so keep an eye on this article for any updates, as I will post any new sources that I find. 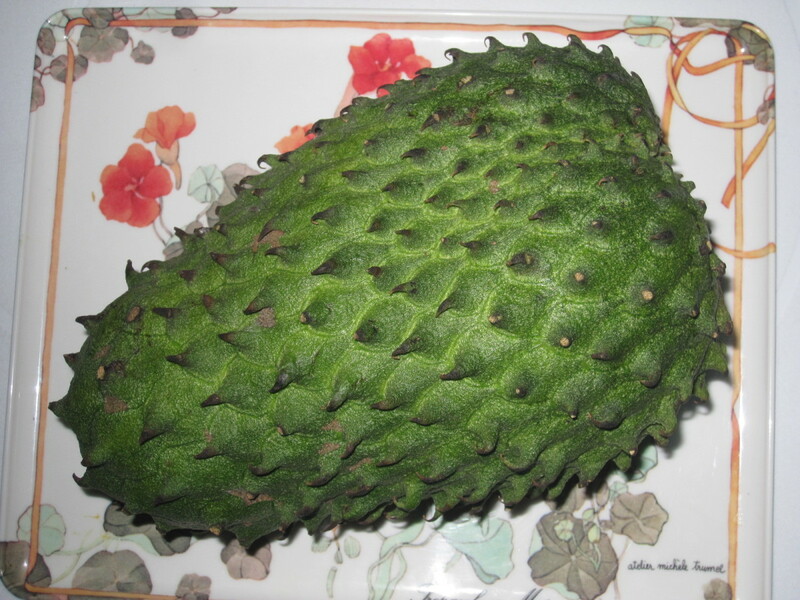 GFruit Soursop Graviola Guanabana exotic fruit by This is NOT a Juice, it is 100% Healthy Fruit. 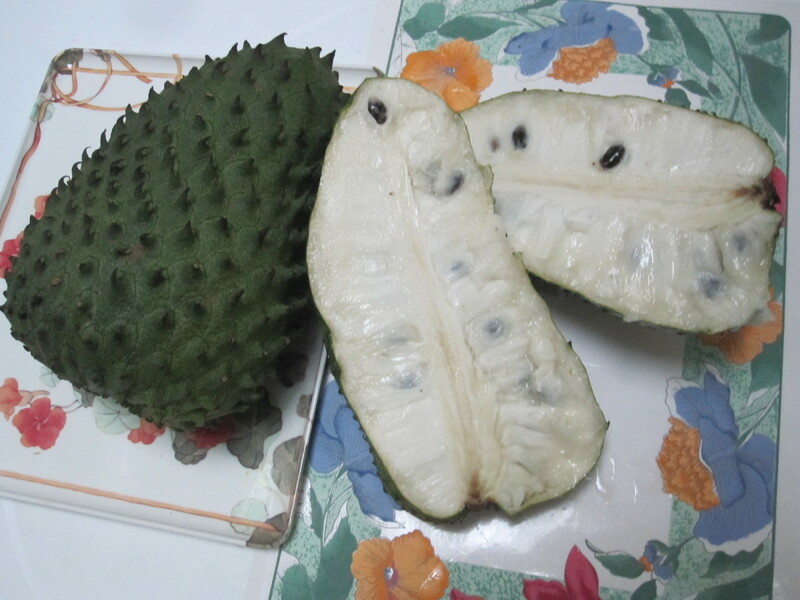 Purdue University did a reach on this fruit and found that it does cure several cancers. It is very difficult to find in Michigan. Check pout the adds from Ebay and Amazon that I have with this article. That is the best way to buy the guanabana. 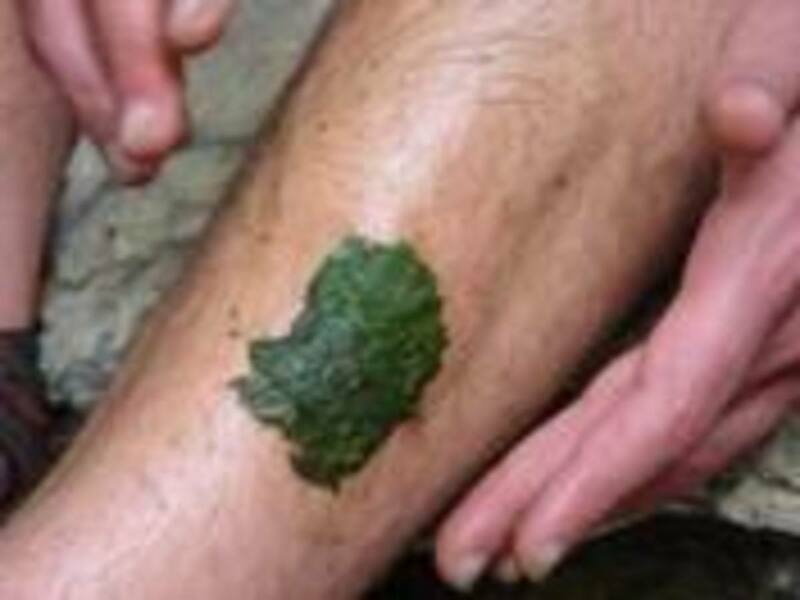 The leaves can be made into a tea also. Good luck. I have been looking and looking for the fresh Guyabano fruit here in Michigan, so I'm THRILLED that you are in Traverse City! Can you tell me where I can get the freah fruit here to make your yummy recipes? My dad has multiple myeloma and I want to start giving it to him ASAP! mmm!!! delicious! Great write up. I am not sure about the chirimoya, I have seen them but I do not know anything about them. Another great fruit is the mangosteen, but the majority of the health benefits are in the rind. 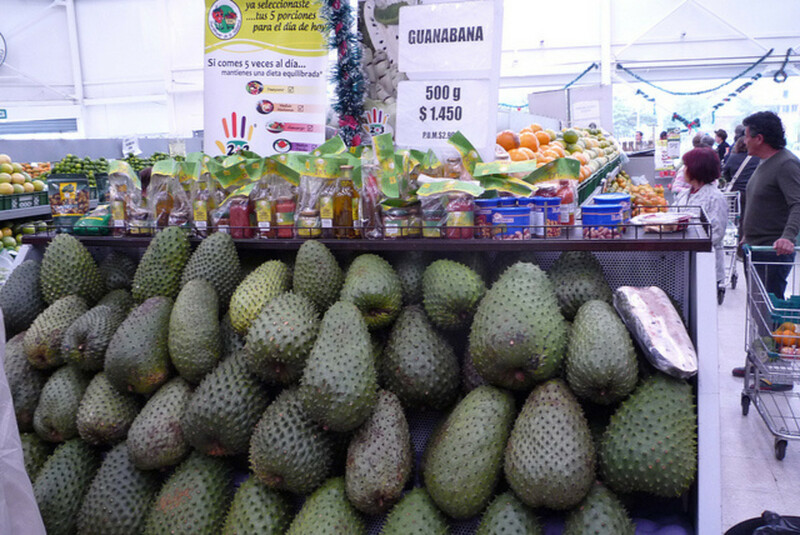 We have an abundance of guanabana here in Peru and although I've heard of its medicinal properties, I didn't realize it has been proven to kill cancer cells. Fascinating! We're going to have to include more guanabana in our diet. We do love making a smoothie out of it. I wonder if chirimoya has similar properties? It's a similar fruit but smaller. Do you have them in Colombia? It is amazing what there exists in this world. Now that I live in Colombia, I have seen some amazing things. Very interesting and informative. I learned something new from you today. Thank you for publishing this hub. I am sure you will help many people who are fighting cancer.